China conducted its first launch of 2018 on Tuesday when a Long March 2D booster lofted a pair of SuperView imaging satellites into polar orbit for Beijing Space View Technology. The rocket lifted off from the Taiyuan Satellite Launch Center. “Success! We’re thrilled to announce the successful launch of SuperView-1 03&04 satellites at 11:26 this morning in Taiyuan Satellite Launch Center!” the company tweeted. 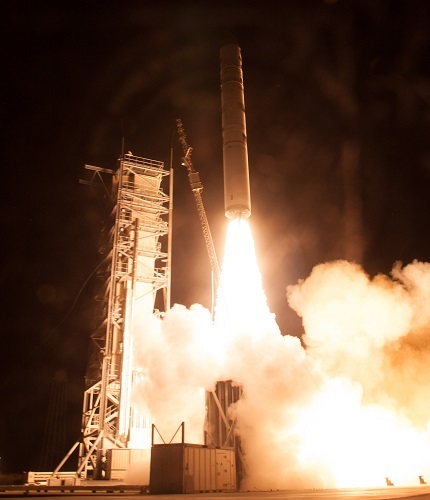 The launch doubled the number of high-resolution SuperView satellites the company has on orbit. It plans to sell imagery on the global market. GBTimes reports China could launch more than 40 times in 2018, which would be a substantial increase over the 18 launches the nation conducted last year. The China Aerospace Science and Technology Corporation (CASC), announced at a conference on January 2 that its 2018 work model includes 35 launches, underlining the return to flight of the heavy-lift Long March 5 rocket, the Chang’e-4 lunar far side mission and launches of Beidou navigation satellites as the major activities. CASIC Rocket Technology Company, also known as EXPACE, reports that it has raised 1.2 billion yuan ($181.5 million) to develop its Kuaizhou family of satellite launchers, Xinhua reports. CASIC Rocket Technology Company, based in the central city of Wuhan, said it signed fund raising agreements with eight investment institutions at the Shanghai United Assets and Equity Exchange Monday. Zhang Di, vice president of China Sanjiang Space Group and chairman of CASIC Rocket Technology, said the original shareholders did not participate in the capital raising.